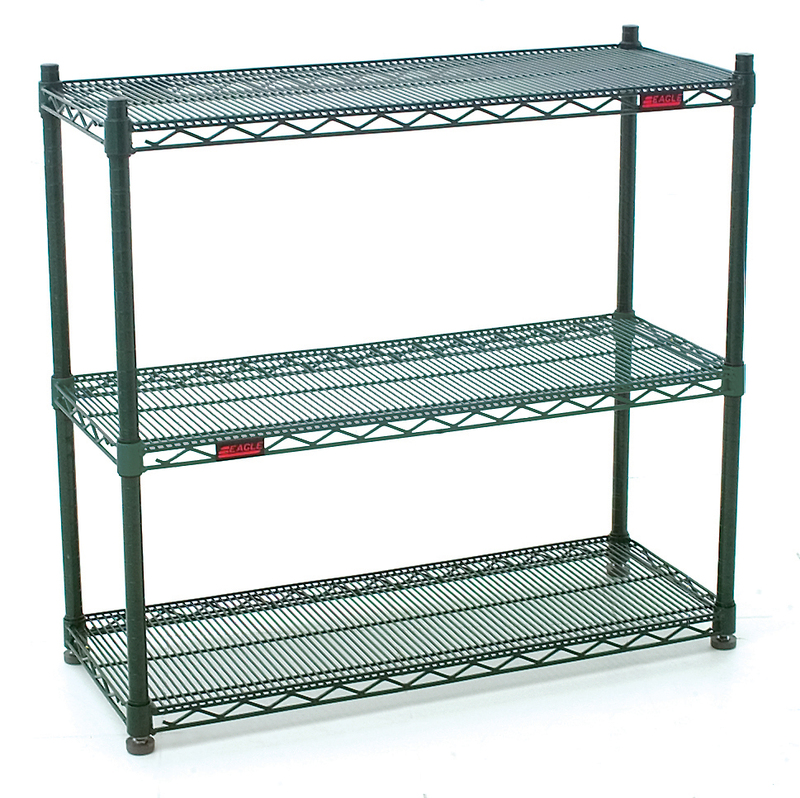 New Double-Mat Wire Shelving from Eagle is specially designed to accommodate merchandise that is difficult to store or display on conventional wire shelving units. 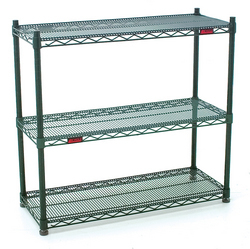 New Double-Mat Wire Shelving from Eagle is specially designed to accommodate merchandise that is difficult to store or display on conventional wire shelving units. EagleÂs new shelving is specially designed for safe storage of items such as soda bottles, round-bottomed containers and small-legged appliances -- while continuing to enjoy the advantages of wire shelving including strength, configuration flexibility, and improved air circulation. EagleÂs shelving design begins with spacing heavy-duty open wires 7/16Â (11 mm) apart for a tighter, more concentrated wire surface. The shelving also features EagleÂs patented QuadTrussÂ® system which maximizes load-bearing weight per shelf. The unique pincer-type design -- with the mat wire sandwiched in between the two top truss wires -- distributes load weight equally, thereby reducing stress and strain on the welds. The QuadTrussÂ® design also incorporates retaining edges on the perimeter of each shelf for better merchandise stability and a significantly lower risk of spills and falls. Deflection tests conducted under laboratory conditions show that Eagle shelves are significantly stronger -- up to 25% Â when compared to other wire shelving designs.